Winegard has a great reputation as the leading provider of both satellite and over-the-air TV antennas designed for RV use. But despite some initial excitement, we ended up being underwhelmed by Winegard's 2016 entry into the RV internet gear market. Winegard must have been paying attention. Last November Winegard announced a completely redesigned ConnecT 2.0 model - and they've let us know that the new model has started shipping this week. The original Winegard ConnecT looks like a porcupine on your RV roof, and it came with a wall-mounted indoor router as well. The ConnecT 2.0 addresses many of the issues we had with the original ConnecT model. 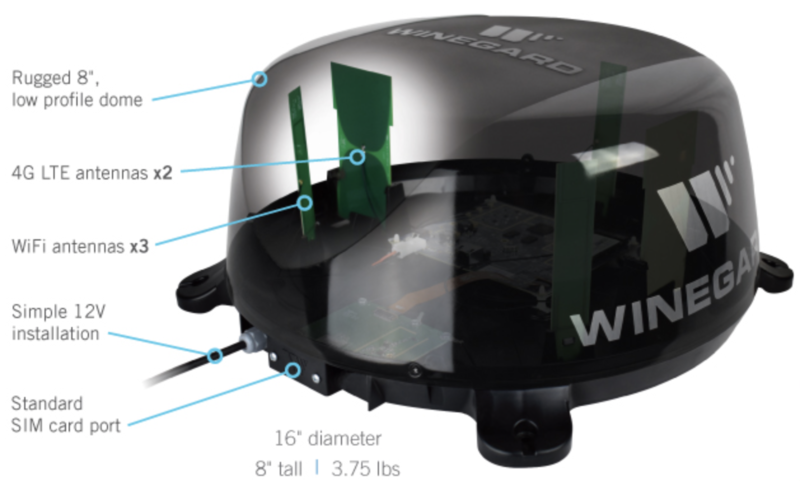 The most obvious improvement is the new plastic shell - hiding three long-range Wi-Fi antennas (and optionally two additional LTE antennas) in a much more attractive and seemingly durable low-profile roof-mounted saucer. With its 16" diameter and 8" height, the ConnecT 2.0 should fit nicely onto the roof of many RV designs - particularly as a replacement for an existing satellite dish for those ready to make the jump to the streaming TV world. The cellular ConnecT 2.0 model will continue to offer Winegard's pay-as-you-go data plan (powered by AT&T behind the scenes) which makes it easy for occasional users with light needs to tap into cellular data only when they need it, without needing a contract. But for those with more demanding data needs - the cellular ConnecT 2.0 will now support swapping in Verizon or AT&T SIM cards so that you can now at last use your own plan direct with your carrier. This makes the cellular ConnecT 2.0 a great home for AT&T's $20/mo unlimited hotspot plan (for current AT&T voice line customers), or for use with a classic Verizon grandfathered UDP plan. The roof mounted MIMO antennas should (hopefully) deliver better fringe area performance than unaided indoor hotspots should be capable of. NOTE: Keep in mind - swapping SIM cards to change carriers WILL require a trip up to the roof to access the SIM slot on the ConnecT 2.0. Though both AT&T and Verizon will be supported, swapping between them to hunt for better coverage will prove to be a challenge! To reduce costs and simplify installation, the ConnecT 2.0 drops the indoor companion router that was required with the original ConnecT. Now rather than running ethernet to your roof for installation, all you need is 12V power to the saucer section. The roof mounted unit does it all - it contains the LTE modem, the long-range Wi-Fi, and it acts as the local router managing your private Wi-Fi network. This makes installation even easier than before. But without an indoor companion unit, there is no longer any option for wired ethernet inside your RV - and the old indoor unit's fast 802.11ac dual-band 2.4GHz / 5GHz local networking is lost. Now the roof unit's 2.4GHz 802.11n radio will be left doing double duty - hosting both your local short-range private Wi-Fi network and also connecting to any remote public Wi-Fi network you choose to reach out to. If you have demanding local networking needs, this is a major disappointment - and there is no upgrade path to add an indoor unit back into the mix. The only external connection the ConnecT 2.0 supports is the 12V power input. 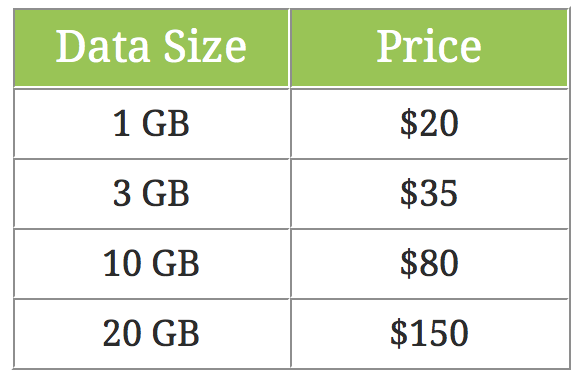 The Winegard data plan pricing is shockingly high, and unused data expires at the end of the month. If you only need cellular occasionally this might be workable for some RVers, but fortunately now the ConnecT 2.0 supports regular Verizon and AT&T data plans. The Wi-Fi only version of the ConnecT 2.0 (Model WF2-335) costs just $199, and is now shipping and should be showing up in retailers such as Camping World soon. 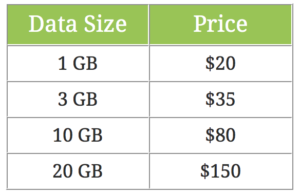 This is a huge cost reduction from the original Wi-Fi ConnecT's $549 price point. The cellular integrated ConnecT 2.0 (Model WF2-435) costs $349, and Winegard tells us it should be shipping by the end of February. This is dramatically cheaper than the original's $749 price point, and considering the overall capabilities it represents an incredible value for RVers looking to improve both their cellular and campground Wi-Fi options without investing a fortune in gear. But the ConnecT 2.0 only makes sense if you are OK with the limitations. Without even an option of adding an indoor unit to provide for wired ethernet and faster 802.11ac local networking, those with more demanding needs will be stuck without any potential upgrade path. And we also worry that those with metal roofs (like Airstreamers and bus conversion folks) will find the connection between their indoor devices and the roof mounted ConnecT 2.0 handicapped by the intervening metal barrier - though we look forward to testing to see just how significant this ends up being in practice. Winegard has promised us a cellular ConnecT 2.0 to test (slated to arrive this week), and we will be sharing our hands on impressions with our member's in the Gear Guide. We are particularly eager to see how well the integrated LTE modem on the roof performs compared to an indoor hotspot hooked up to a more traditional roof-mounted antenna. NOTE: Winegard tells us that the original ConnecT is NOT being discontinued, and it will remain available for the time being. Both the new and old ConnecT models are being offered as factory installed options by several RV manufacturers, so if you are speccing out an RV be sure to make sure that you know what you are ordering - and make sure that it will actually meet your needs. Testing In Progress: We have installed our demo unit of the ConnecT 2.0 4G Model, and are integrating it into our ongoing field testing. Results and testing notes are being shared with our members in real time in our Field Testing Lab, and our in-depth review will be available to them as soon as we can put it together. 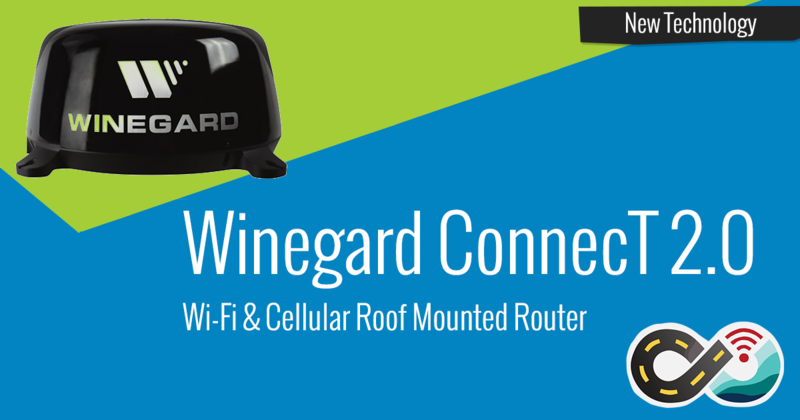 Winegard Announces ConnecT 4G1: Rooftop Wi-Fi & Cellular Combined - April 2017 launch of Winegard's first cellular integrated model. 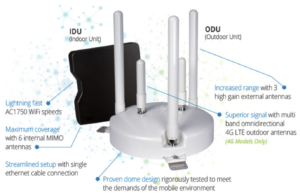 WiFiRanger Announces Low-Cost MicroLTE Pack: Roof-Mounted Cellular & Wi-Fi - WiFiRanger's currently delayed roof-mounted cellular option, a potentially interesting alternative to the ConnecT.